Fabulous 1 bedroom main level unit with outdoor space located central to it all! 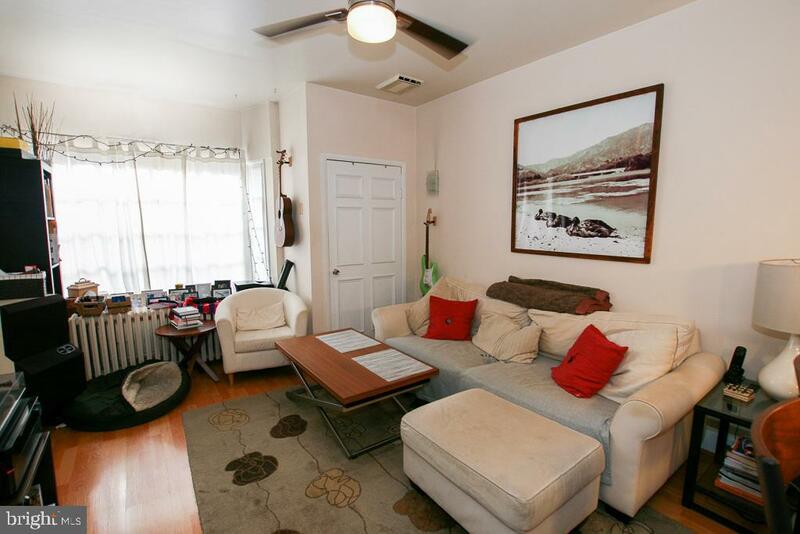 Easy access to University City, and public transportation. Live close to the best restaurants, theaters, coffee shops, hospitals, medical schools and universities. The remodeled cook's kitchen is fully equipped and has a large breakfast bar with room for 4 seats open to the spacious living area. The large bedroom is located in the rear and has great closet space and dual doors to the beautiful patio - perfect for summer dining. The tastefully remodeled spa like bath has a tiled shower, glass pedestal sink, and river-rock floor. The basement provides an abundance of storage and a washer and dyer for this unit only. Walk Score 99, Transit Score 100, Bike Score 85. A pet will be considered on a case by case basis. Available July 1st. Landlord prefers a longer term lease.